Spotlight is on League One. THE gap between the clubs sitting fifth and sixth in League One with a little over a month to play stands at nine points. Just eight points, meanwhile, separate second-bottom AFC Wimbledon from a place in the top half of the table. If anything underlines the crazy, unpredictable nature of this season’s third tier then it is surely this anomaly. The Premier League may be considered the place to be and the Championship a Wild West free-for-all in terms of results. But a division that is home to Barnsley, Bradford City and Doncaster Rovers is promising to out-do everyone in the drama stakes. Only fifth-placed Charlton Athletic of the 24 teams can say with any degree of certainty what their fate will be come May 4 with the Londoners firmly on course for the play-offs. Everything else is up for grabs with five teams locked in the battle for automatic promotion and the race for sixth place involving half-a-dozen teams. Then there is a relegation battle that has an unprecedented 13 clubs scrapping it out as the clocks prepare to go forward this weekend. Gary Bowyer’s Bantams are favourites for the drop after slipping to a sixth defeat in eight games. But even City, as the bottom club, have hope in a division where everyone is beating everyone else. 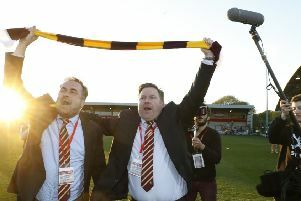 “It is a fantastic league this year in that sense,” Bradford chief Bowyer told The Yorkshire Post when asked about how tight things are at the top and bottom of the table. 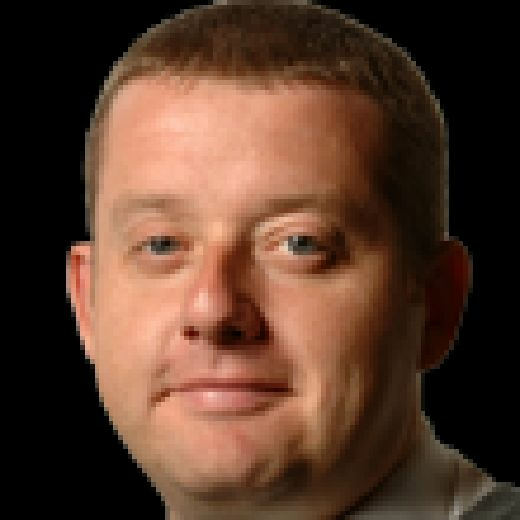 “Last year, you had Blackburn and Wigan (who won automatic promotion) with their budgets and quality of players, and the way they played the game. The competitive nature of League One can be seen by the lack of a whipping boy. Bradford have 10 wins to their name despite propping up the table, contrasting sharply with Huddersfield Town (three victories), Ipswich Town (three) and Notts County (seven) in the other three divisions. Also underlining how keenly fought the third tier has been this season is Sunderland having lost just twice in 37 games and yet Jack Ross’s men sit fourth, five points behind Barnsley with two matches in hand. The Reds have an opportunity to pile the pressure on not only the Black Cats but also third-placed Portsmouth by beating Coventry City at home this Saturday, as their rivals focus on the Checkatrade Trophy final 24 hours later. “It would be very good,” said Daniel Stendel when asked about moving eight and seven points clear of Barnsley’s biggest rivals. “This is the goal. Sunderland have a lot of games in April. 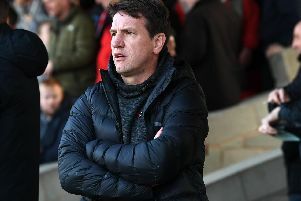 Stendel admitted his side had been fortunate to beat Walsall last weekend, Jacob Brown netting the winner in stoppage-time. But he added: “In Germany, we say that sometimes when you stay at the top of the table, you have a little bit more luck than at the bottom end. That was the case. Barnsley’s late, late victory at Walsall stretched their unbeaten run to 19 games. What Doncaster would do for such a run after their own slump continued with a 4-0 hammering at Luton Town. As a result, Grant McCann’s men, now without a win in seven league outings, slipped out of the top six for the first time since the start of last month. Victory tonight, however, at home to Bristol Rovers will be enough to leapfrog Peterborough United and reclaim the final play-off place. “There are eight games left to get into the top six,” said Rovers captain Andy Butler. “I would rather be in this position than in the bottom half, where you have just a few points separating bottom to 12th or whatever it is. As keenly fought as the promotion race is proving to be, perhaps the true heart-stopping drama will be at the other end of the table. Depending on how Bristol Rovers get on at the Keepmoat, by the time the clocks change in the early hours of Sunday no less than eight different teams could be joining Bradford and AFC Wimbledon in the bottom four. This concertina effect has led to panic in a couple of boardrooms, Stuart McCall following Rochdale’s Keith Hill in losing his job on Sunday when sacked by Scunthorpe United. Judging by how the most competitive League One in a generation is shaping up, that seems to be a given.